If you've decided to quit Facebook then this feature shows you how. 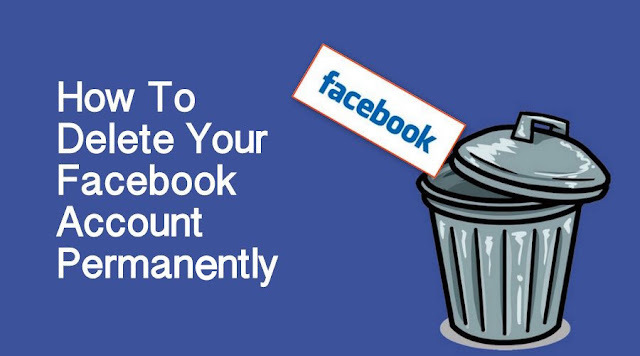 Discover how to quickly, and permanently, delete your entire Facebook account and history. There are two ways of looking at Facebook: one is that it's a fantastic website for keeping in touch with friends and family; Facebook makes it easy to share messages, snippets of information about your life and photos or videos. Then there's the other view: Facebook is a CIA-funded spy-tool and social nightmare. Facebook's recent experiment in changing posts to adjust the mood of its users didn't help it in this regard. With the recent revelations about Facebook and Cambridge Analytica's data harvesting (50 million user profiles were harvested illegitimately by Cambridge Analytica and used to target voters in the US elections and during the Brexit campaign) it's no surprise that lots of people are trying to close down their Facebook accounts. But this isn't a new thing. Back in 2014 Erin Kissane, Director of content at Open News, summed up feelings towards Facebook: "Get off Facebook. Get your family off Facebook. If you work there, quit. If you've decided that Facebook is no longer a service you wish to use, this tutorial will show you how to get rid of your Facebook account. Before we start though, you will want to download your data or you may never see those photos of you in the pub after work again. You may also be interested in How to delete your internet browsing history. Before you delete your Facebook account, you should make you have copies of all your data that you have on Facebook. Particularly your photographs. Do this manually, by clicking the Download link next to any pictures you want to save and by copying and pasting text from Facebook to Text Edit. Click on Menu (the small arrow in the top right of the Facebook screen) and choose Settings. Click Start My Archive > Start My Archive and OK.
Posts, photos and videos you've shared. Your messages and chat conversations. Info from the About section of your Profile. There is also a lot of other information from your Facebook account. You can see all of the data that is downloaded in the file from this Facebook page. Tip! You can download an archive of your Facebook data even if you don't intend to delete your page just so you can check what Facebook information is on file. The next step you need to take before deleting your Facebook account is to get rid of any recent comments. When you delete your Facebook account, the information may stick around for up to 14 days. This delay isn't ideal if you are in a hurry to get rid of an incriminating account. In the meantime, you can start to delete personal information. Click on your Account name in the top-left corner of the screen. Click the Arrow next to a post you want to remove, and choose Delete from the drop-down menu. Check the Delete All Your iOS Activity box. Click Delete to remove the post. Before you deactivate your Facebook account, you should remove any photos associated with your account. Click your Account name in the top-left corner of the screen. Click the Edit Or Remove button next to an unwanted photo, now choose Delete This Photo. You can only delete photos that have been uploaded by you; you cannot delete photos of you uploaded by other people. These may be tagged as you, however (which identifies you), and you can remove this tag. Login to Facebook and click on your name in the top-left corner. Click Edit or Remove and choose Remove/Report Tag. Pick the one you want and click on and click Continue. You will get another menu asking for more information (if you pick I Don’t Like This Photo Of Me). Choose the one you want and click Continue. Click the Arrow in the top-right corner of the screen and choose Settings. Click on Edit next to your Name. Change the information in First and Last name fields, enter your password and click Save Changes. Note that Facebook prevents you from using ‘XXXX’ or other dummy information, so enter a false name. Return to your main profile by clicking your Name and hover the mouse over your photo, now choose Update Profile Picture > Remove. This gets rid of the basic information of your account. You can also go through and delete or replace other information such as your birthday, the school you went to, and so on. Once you have a backup of all your data you are ready to start deleting your Facebook account. Click the Privacy button in the top-right (the icon is shaped like a padlock) and choose See More Settings. Enter your password and click Deactivate Now. And that is your Facebook account deleted. Or at least it will be deleted in 14 days time. In the meantime if you enter your name and password back in to Facebook your account will be reactivated, so don't be tempted to log back in.